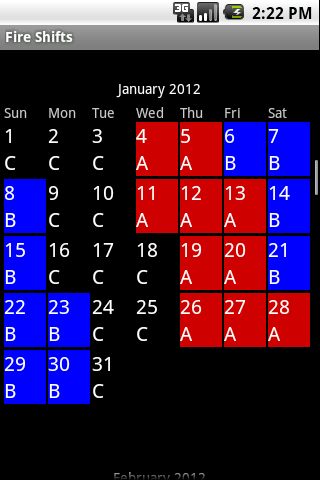 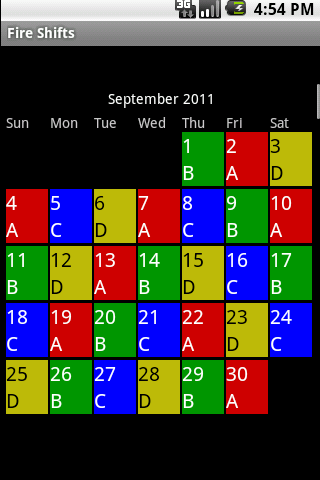 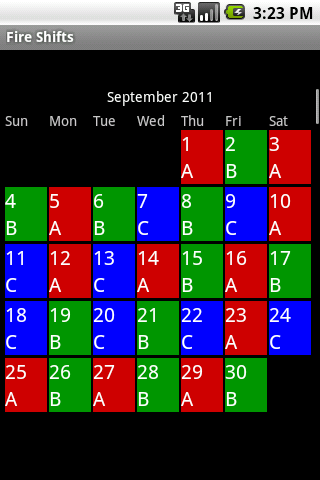 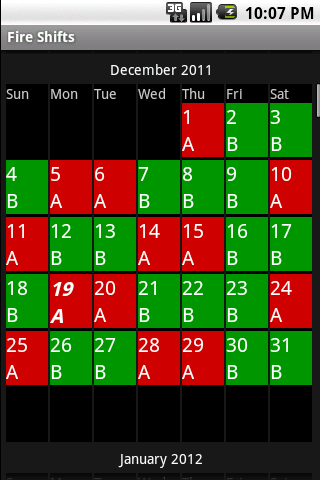 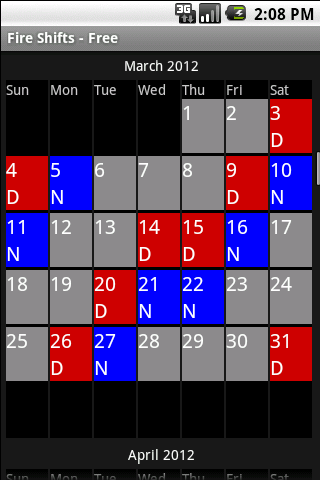 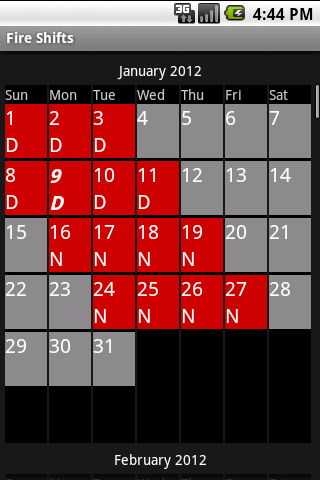 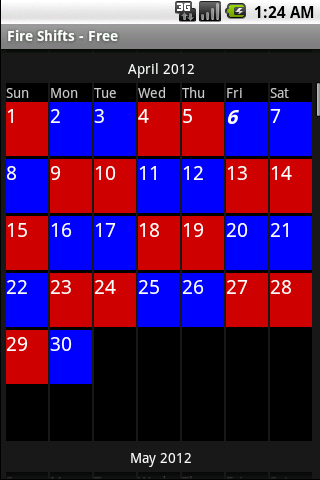 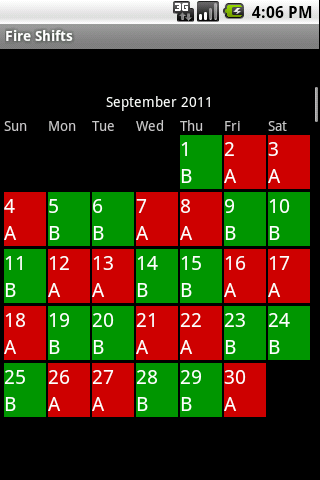 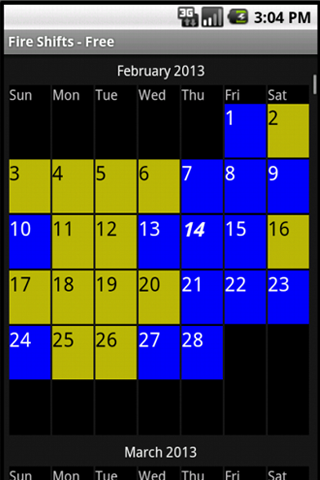 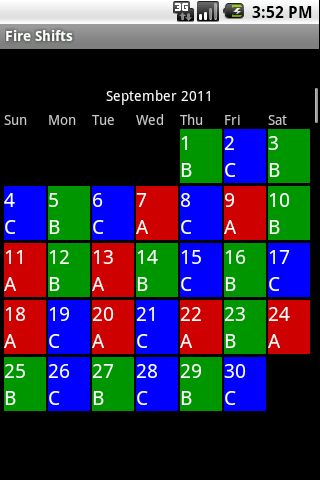 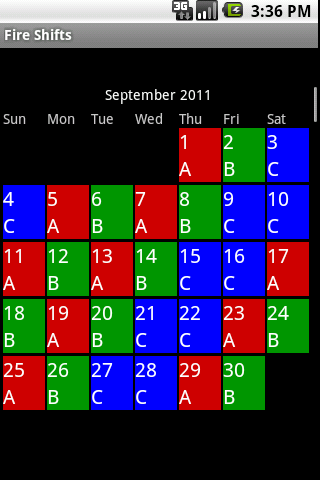 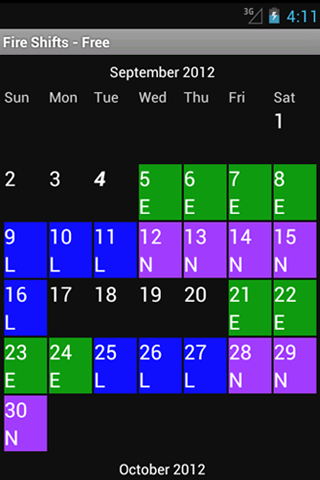 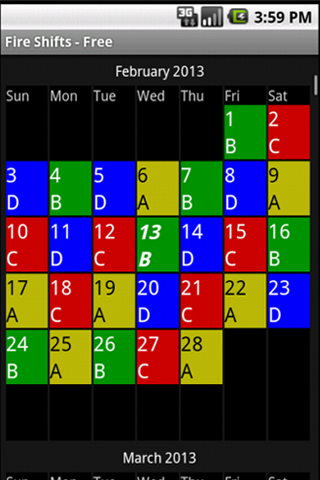 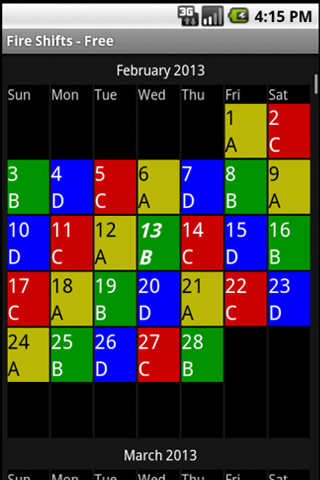 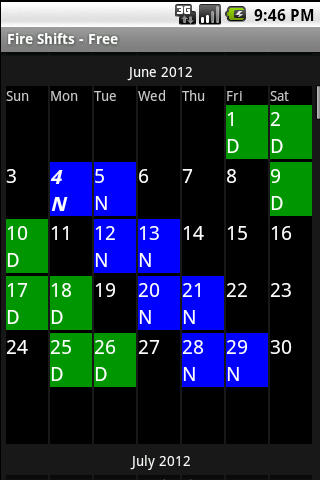 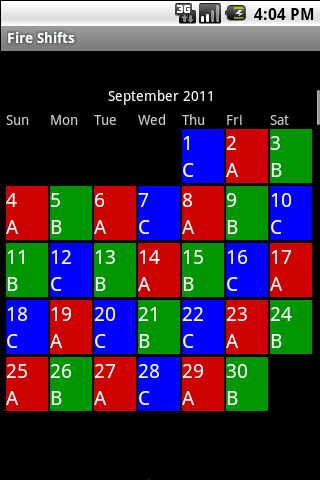 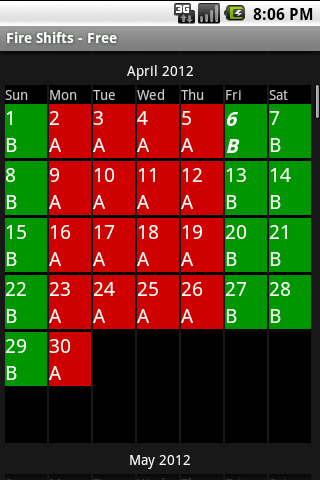 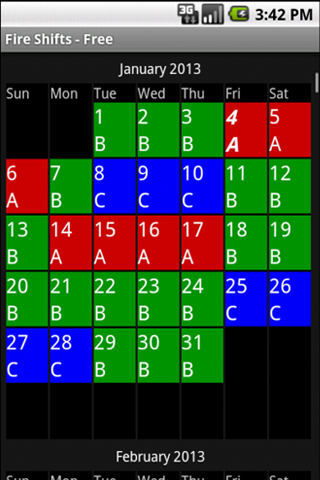 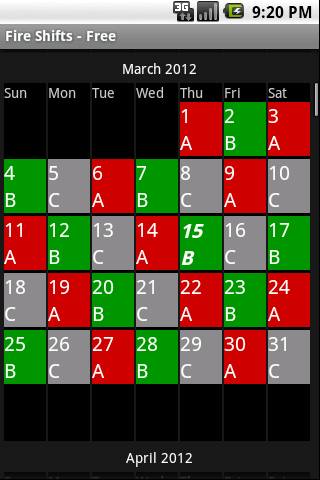 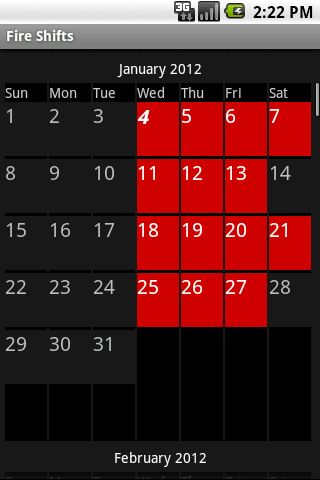 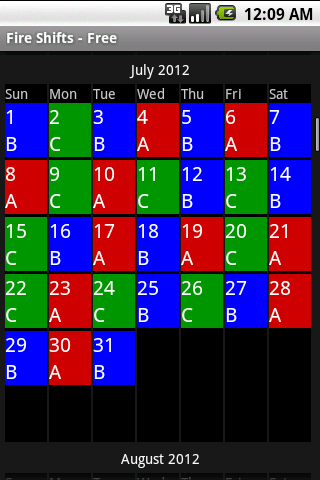 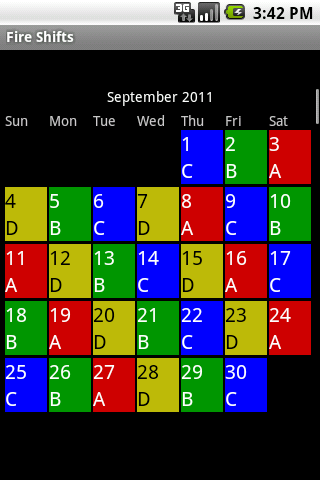 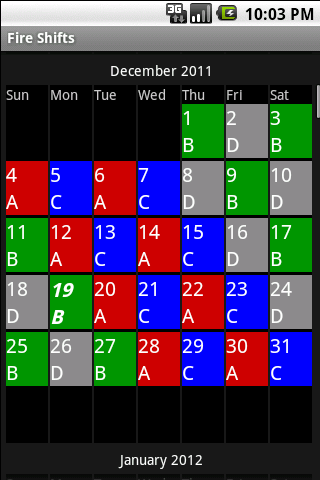 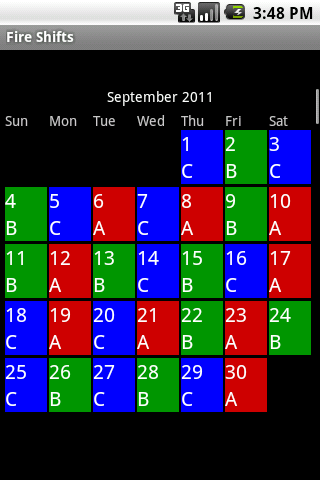 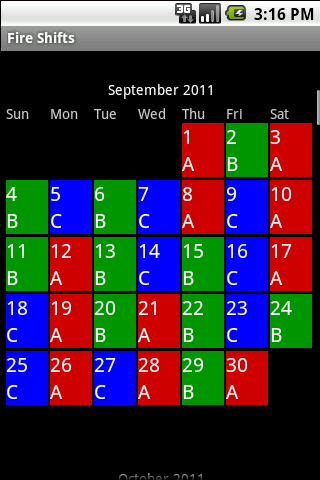 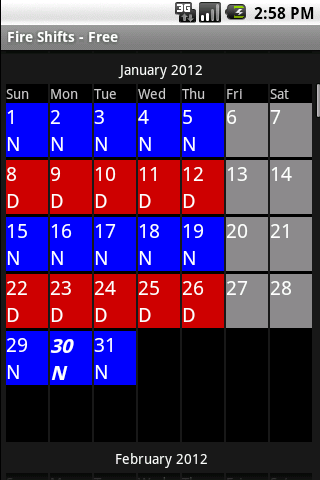 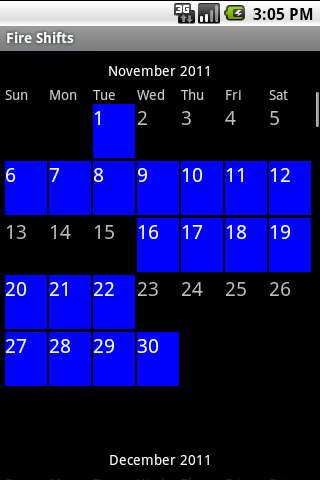 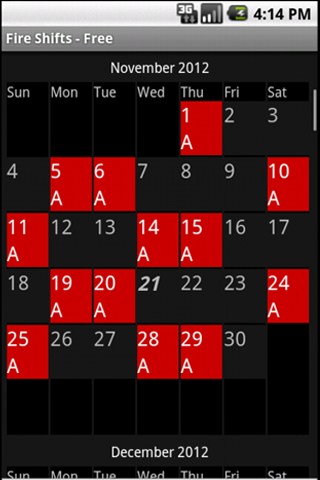 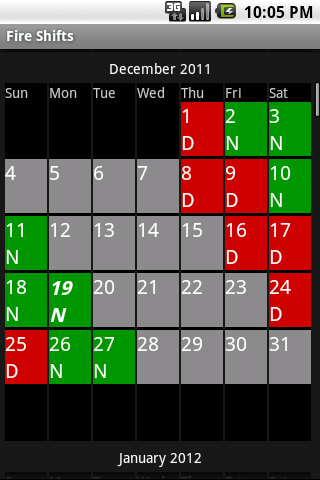 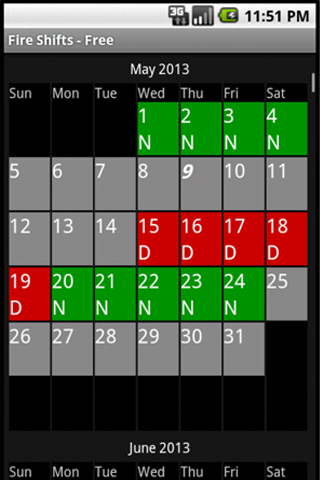 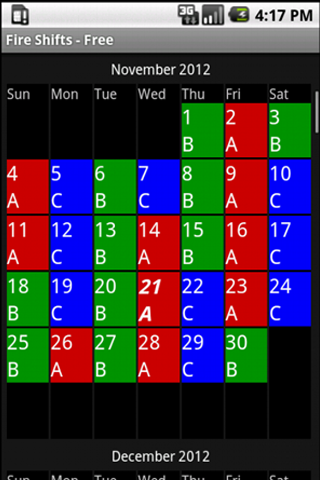 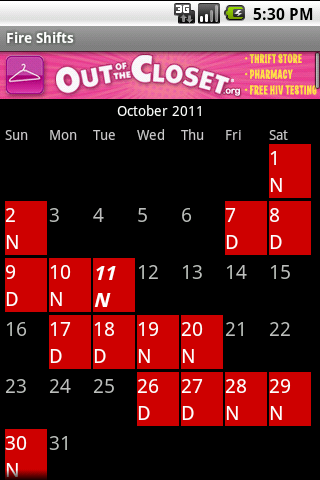 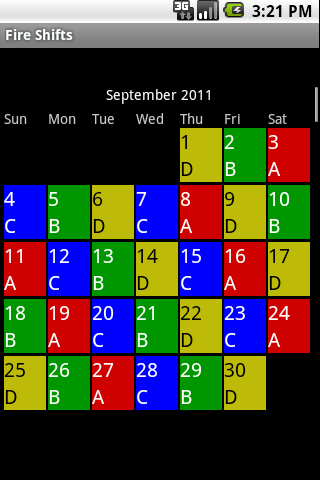 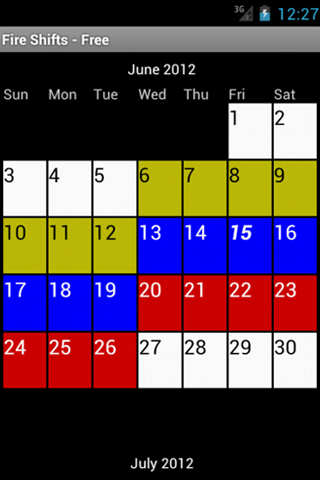 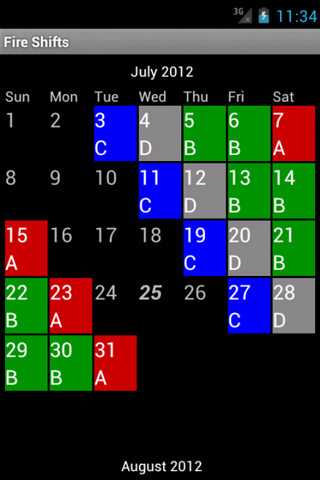 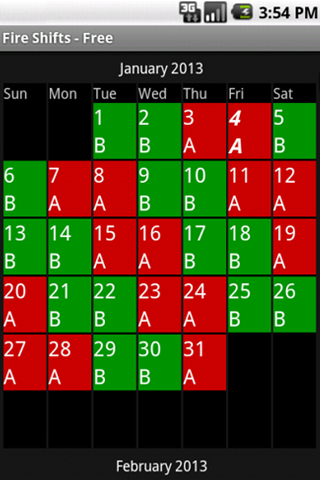 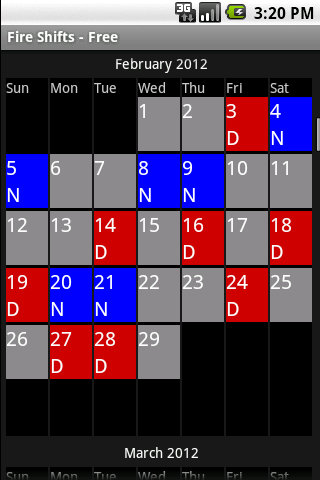 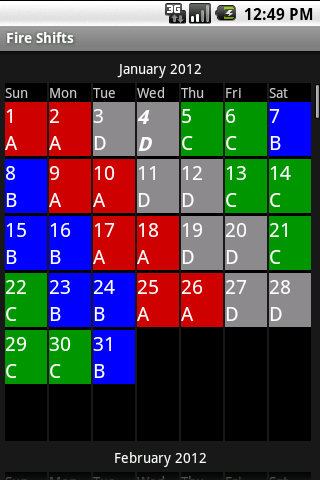 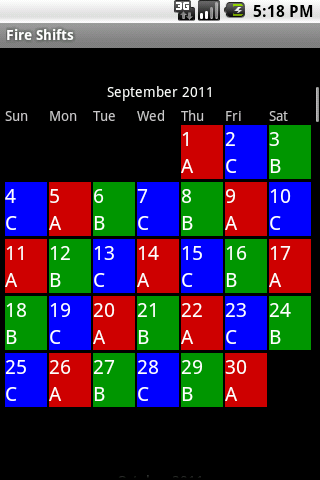 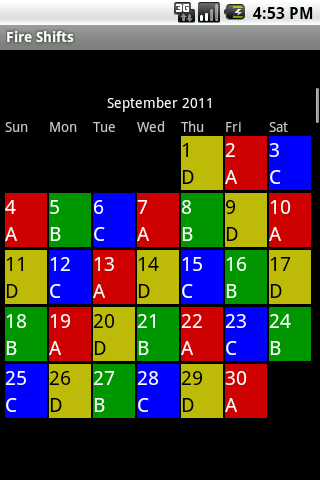 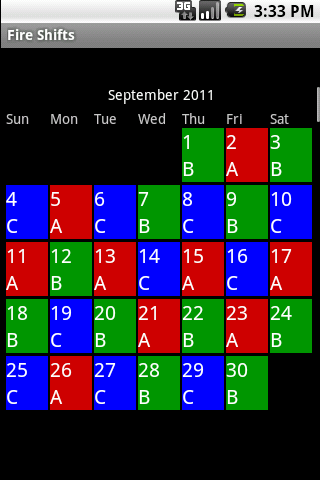 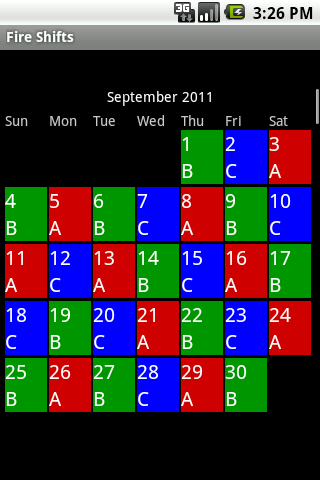 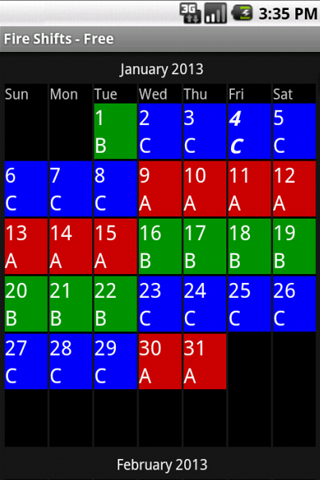 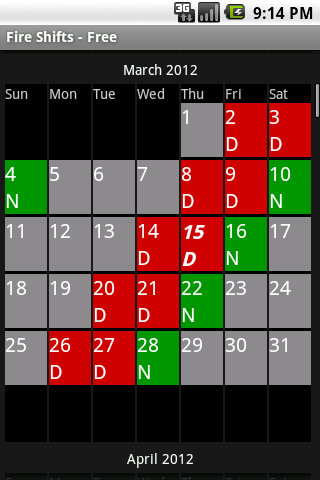 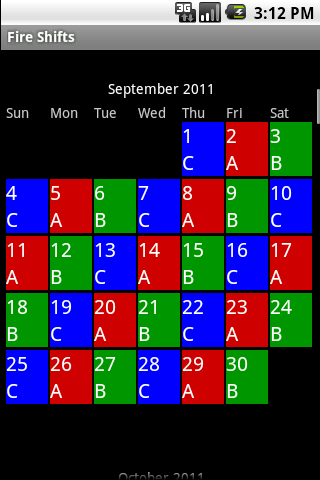 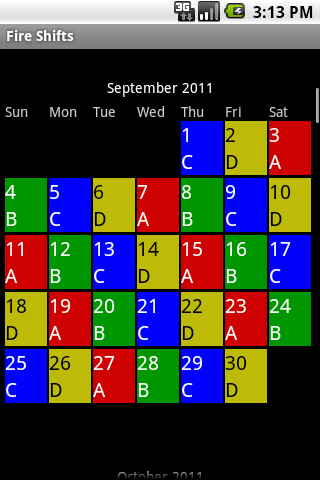 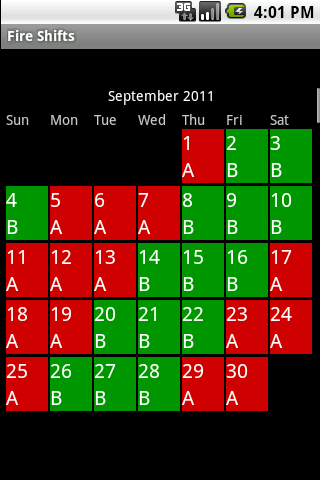 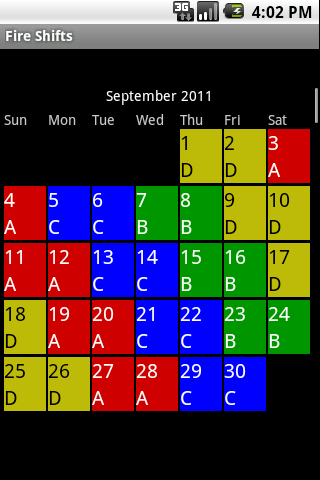 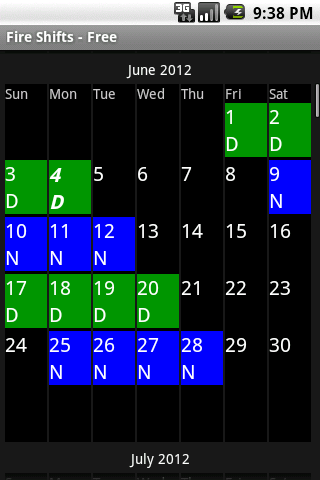 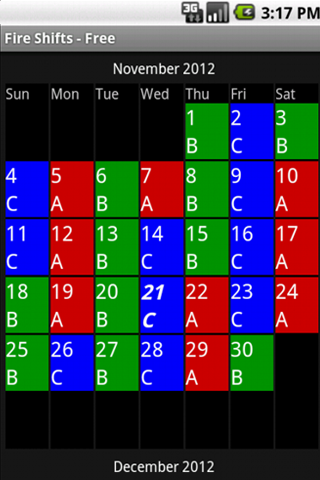 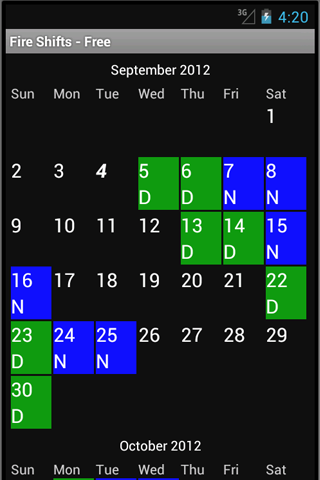 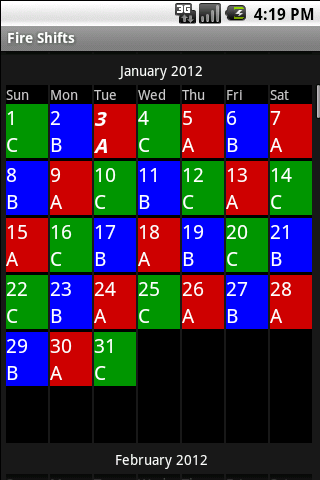 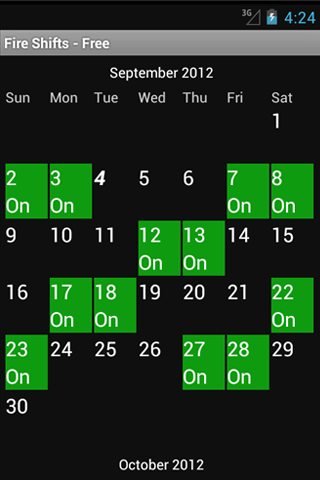 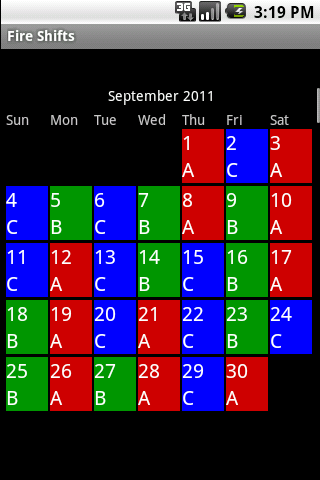 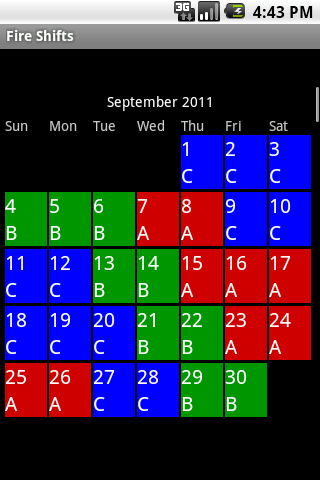 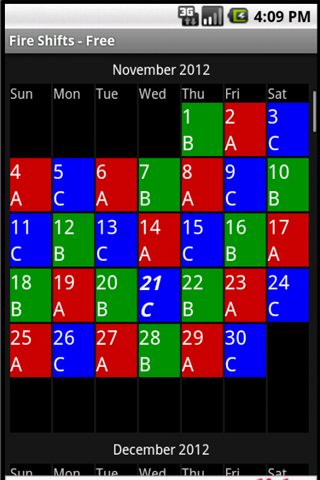 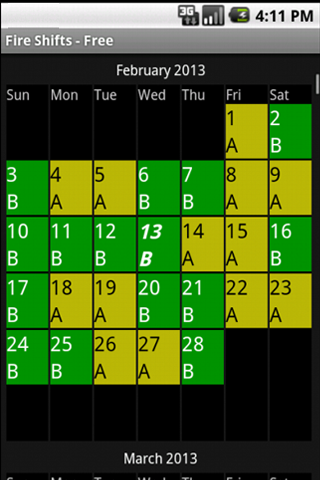 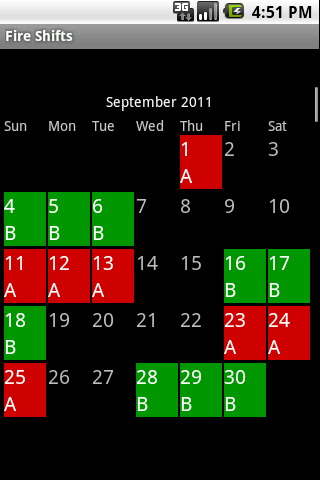 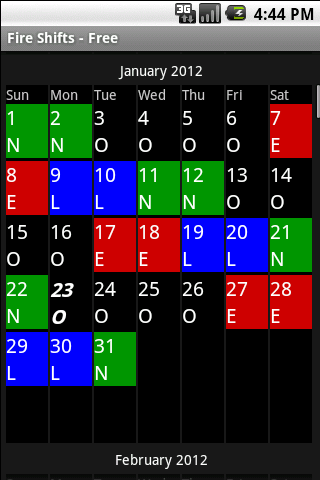 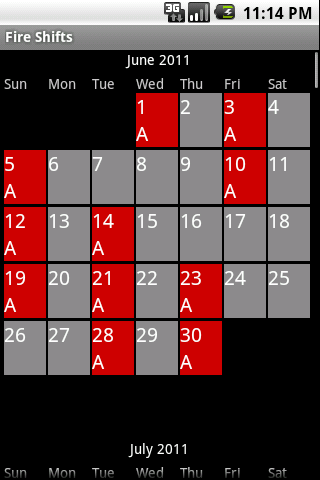 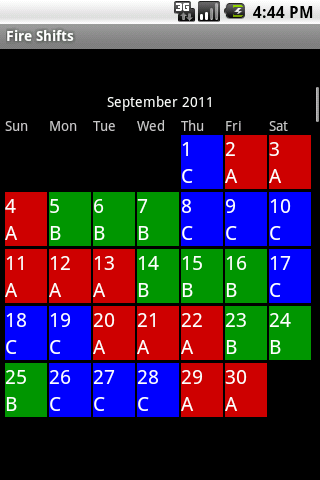 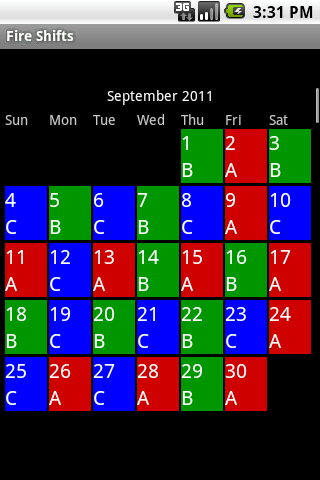 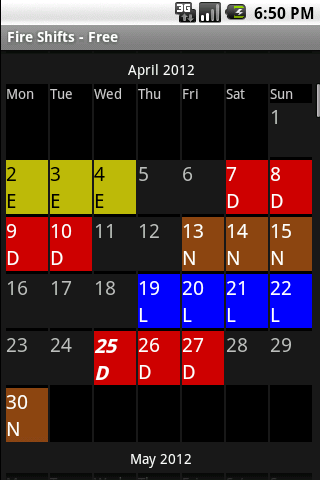 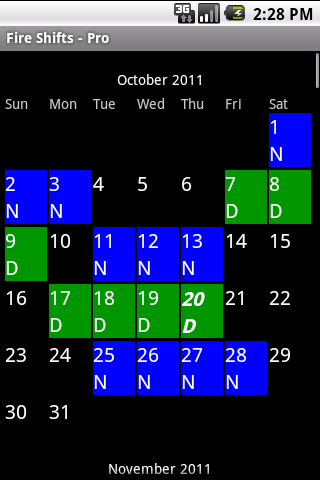 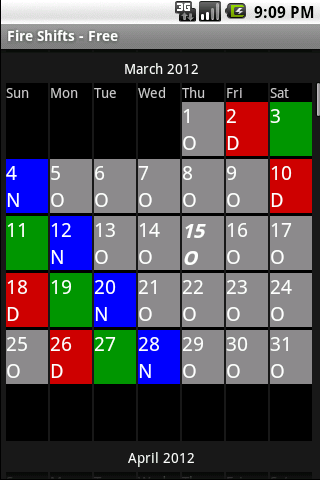 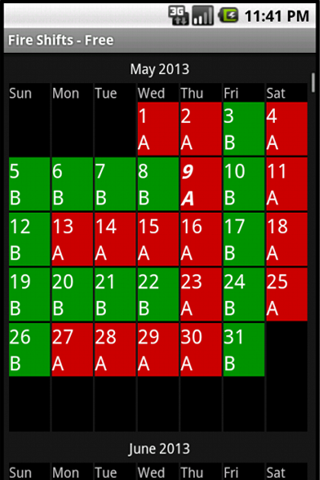 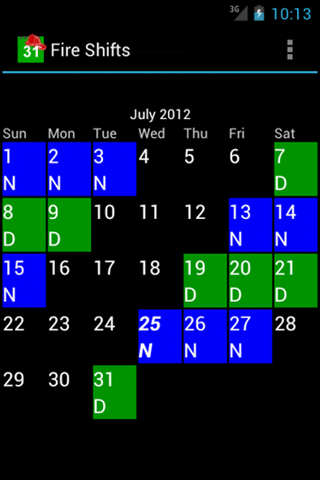 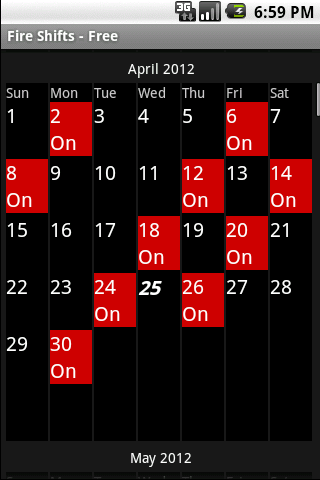 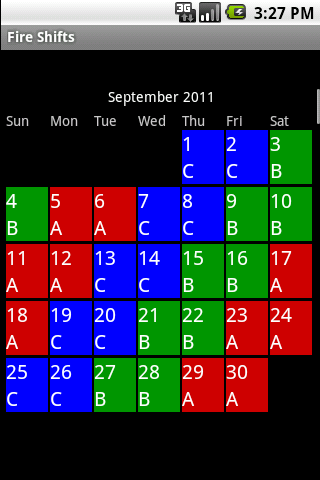 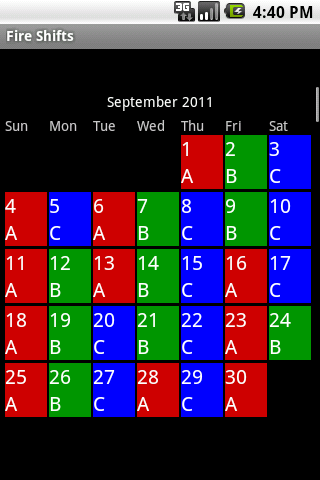 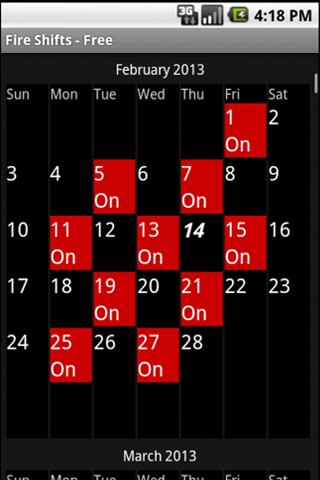 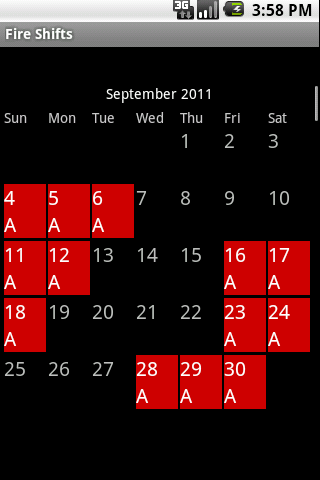 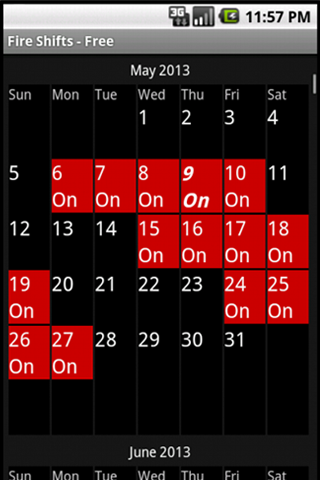 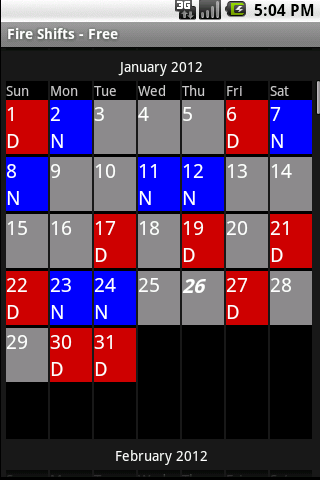 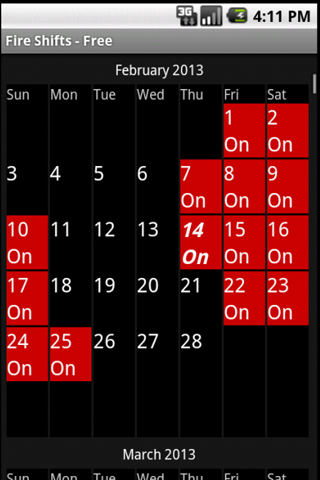 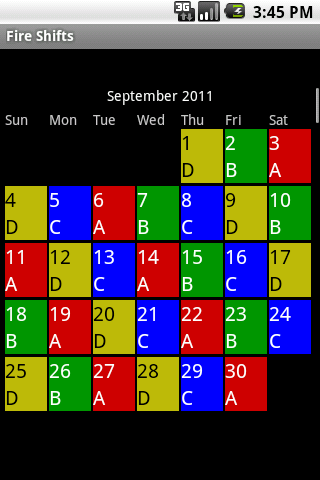 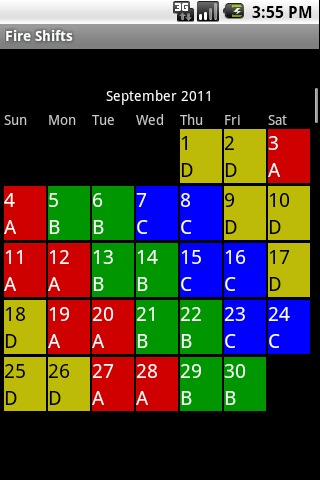 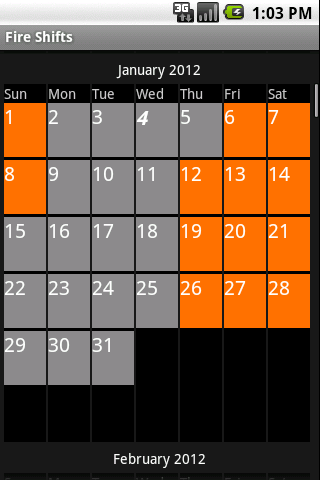 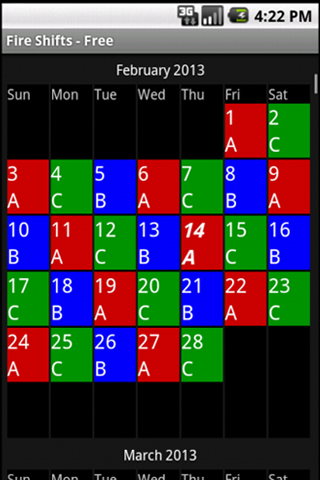 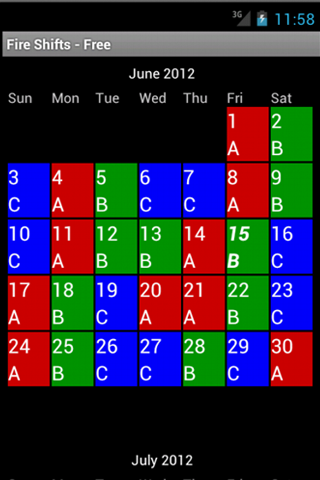 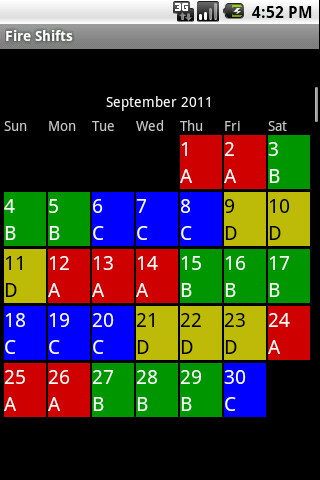 15 Responses to Fire Shifts Calendar for Android & BlackBerry PlayBook! 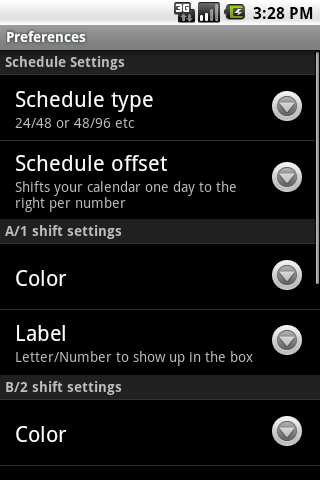 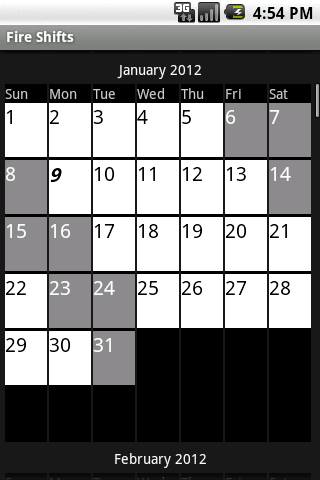 I hade fireshifts free and i upgraded to “pro” so i could sync with my calander add the symbles onto the calander. 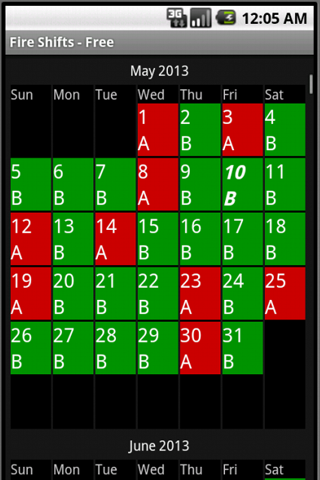 Well it doesn’t work at all any different than the free version. 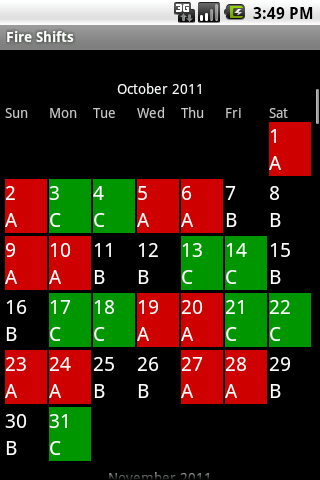 I want my money back or it to get the app to work right like I paid for! 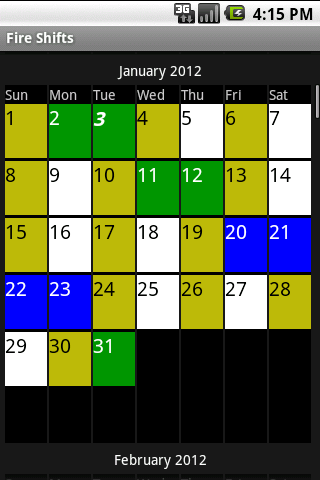 Shoot me an email and we’ll get this worked out. 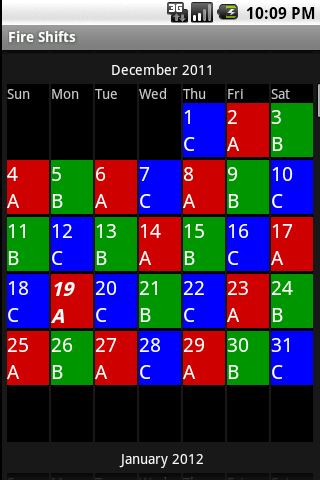 Sorry its not working correctly for you. 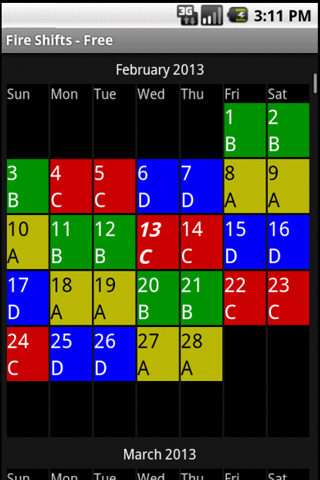 Does your app handle this??? 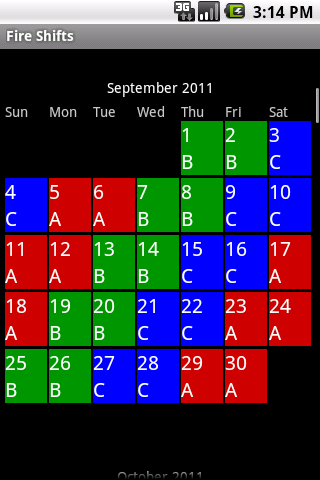 We are currently developing the app for the iPhone. 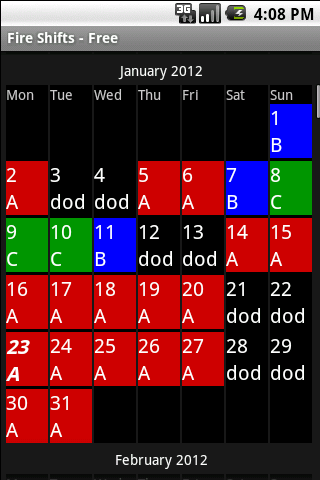 We’ll let you know when it’s on the market. 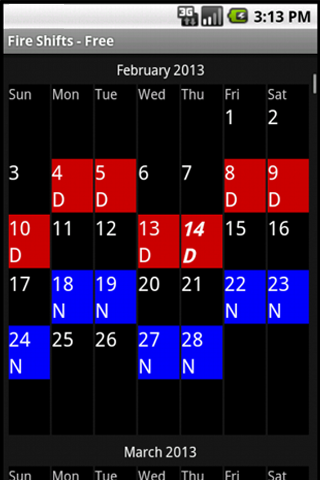 Ron, it has taken longer than expected, but the iPhone version is finally in the Apple App Store! 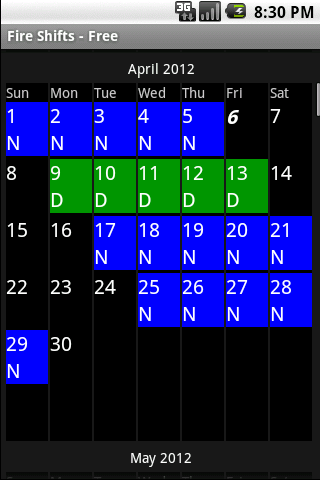 I work a 5 days on 2 days off, then 5 days on and 3 days off. 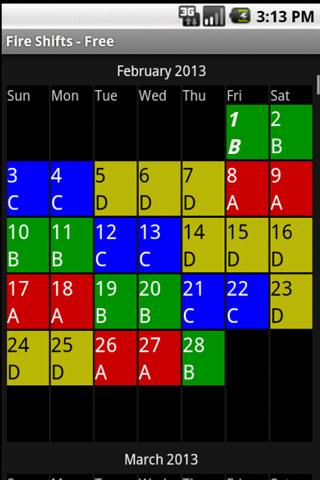 I have been looking for this type of schedule and I haven’t found it. 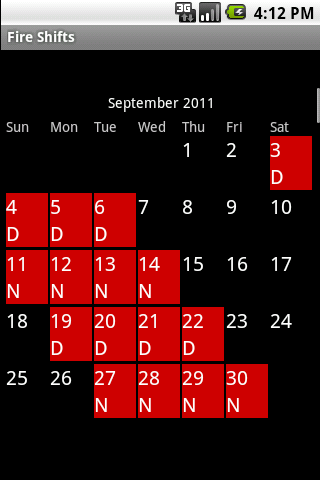 Do you have one like this? 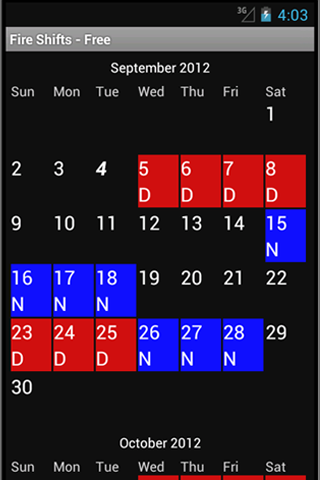 Shift Type #78 will work for your schedule in Fire Shifts and Fire Shifts-Pro. 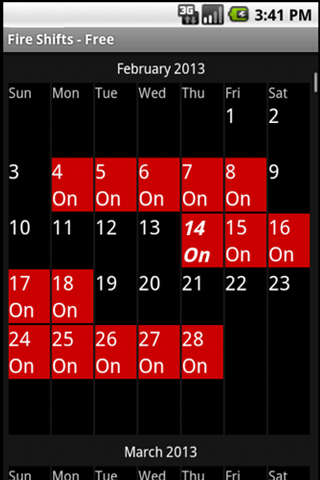 Just use the offset feature to line it up with your calendar. 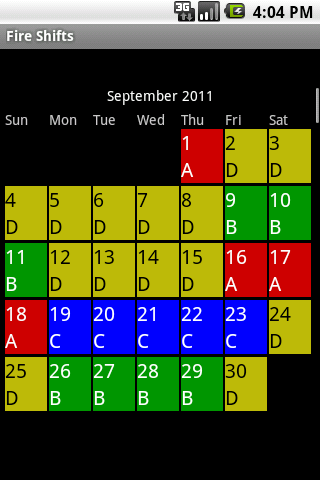 What city/state/department is this for? 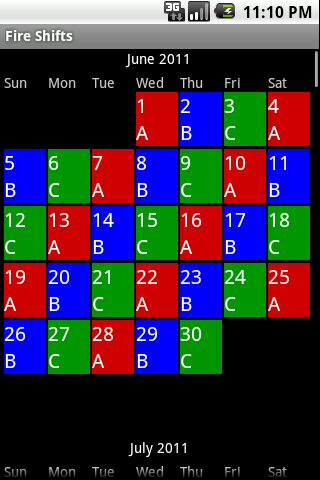 Tryu shift type 5 or 6. 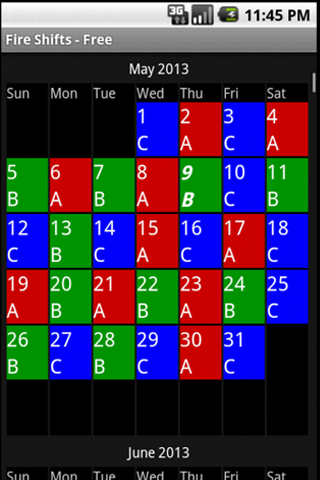 We call them 10, 10, 10000 (on/off on/off on/4off). 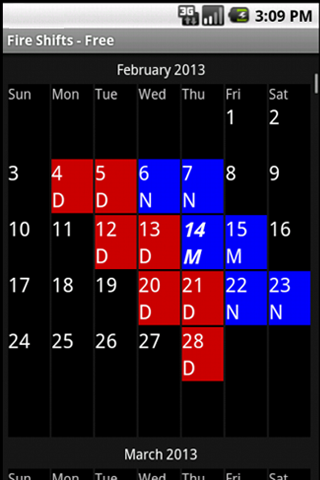 Email monica@fireshifts.com with your rotation if neither of those work. 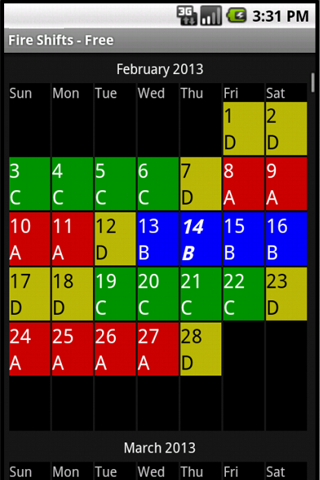 Is there any plans for an iPhone app? 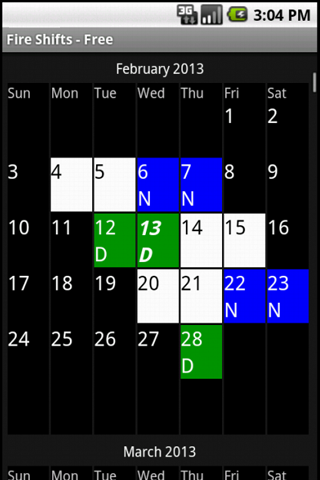 Yes, there are plans, but it is taking longer than expected. 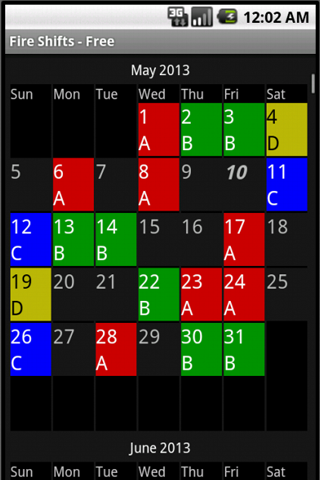 edit 4/2015: iPhone version now available!